Courtesy of California West Realty, Donald Fontana. 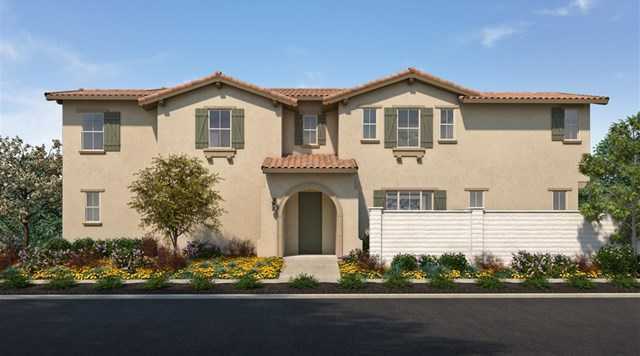 Welcome to Westerly, a 71-home neighborhood in the master planned community of Rancho Tesoro! On Homesite 11 sits a beautiful Spanish style Plan 2X home featuring 3,288 sq ft which includes 4 beds, 3 baths and a 2 car garage. Westerly is situated at the western edge of Rancho Tesoro, a new master plan community located in San Marcos featuring parks, recreation area with pool, play structure and BBQ's. This home is filled with designer selected options/upgrades including FLOORING!!! MOVE-IN READY! Please, send me more information on this property: MLS# 180055641 – $810,900 – 246 Triumph Lane, San Marcos, CA 92078.